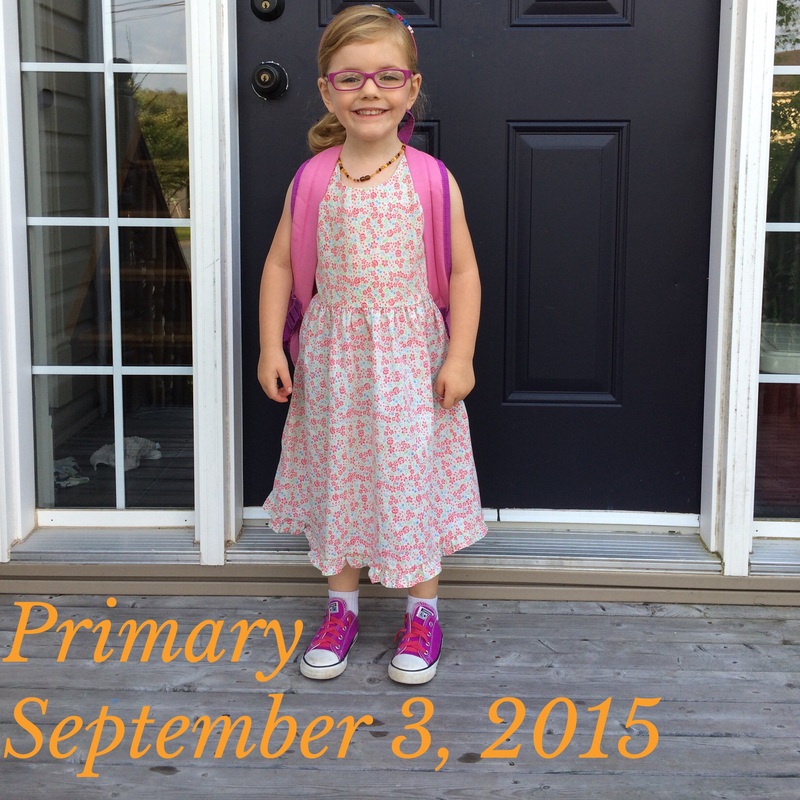 Yesterday my oldest, Capri started her first day of Primary (grade before 1st grade). Leading up to this day I saw many Facebook posts of moms who talked about how they were so sad their little ones would be away from them and how they were growing up too fast. They talked about how they couldn’t stop crying (the moms not the kids). Many of them cried at drop off. And then I realized I felt like a terrible mother. I wasn’t sad and I didn’t cry. In fact I was counting down the days until she started school and would be away for 6 hours, five days a week. When I took her to school I walked her into the gym with the other kids and parents. She got in line and said goodbye to me and Lyra who was with us (Payson started preschool the same morning and had already been dropped off). We both waved goodbye and went our separate ways and neither of us cried. I was so proud of her and how well she adjusts to new places and situations. Now there is nothing wrong with either the reaction of all the crying parents or my reaction of not crying or being sad. Just to clarify. But I love watching my kids grow up and move on to the next stages of their lives. One thing that parents with kids older than yours always say is, “just wait, you will blink and they will be all grown up”. But I don’t want them to stay little babies or toddlers forever. Each stage that they move onto makes me so proud that I and Stefan have not only gotten them there alive but have gotten them to that stage with the confidence to move onto it. 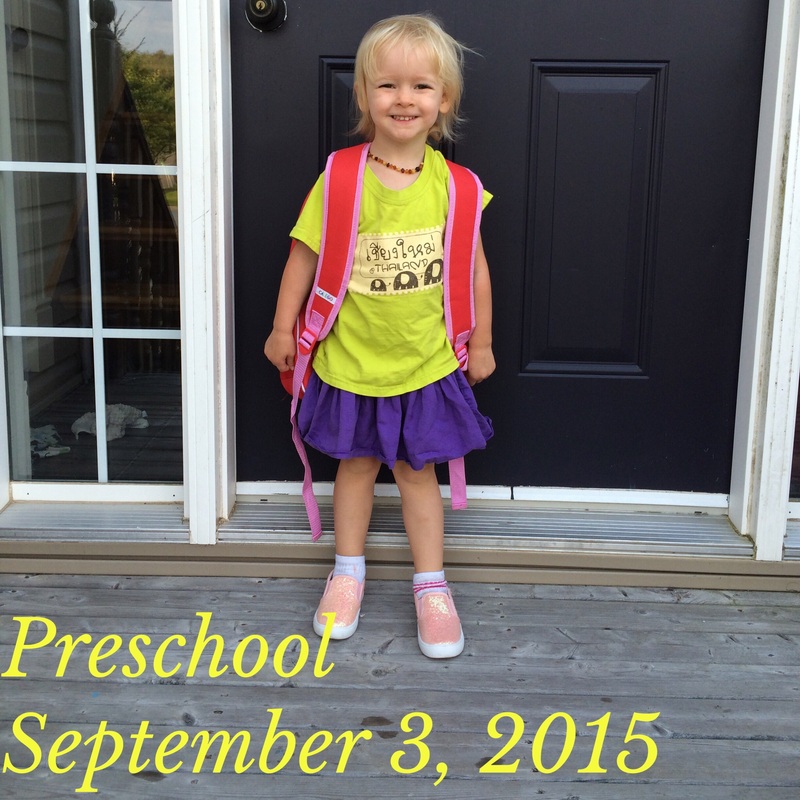 I mentioned earlier that Payson started preschool the same day. I could tell she was a little more nervous than Capri but after a little chat she did great. She is our shy child but even still she knows that we would only send her into safe situations. She had so much fun and I know she will thrive in that environment. I was very proud of her and how well she did at drop off. So if you didn’t cry when your baby went to school or if you did cry it’s all okay. Just remember you are raising an amazing person, a person you can be proud of. Watch them grow and learn, and always remember that you are the home base that they will always come back to. We are so similar. Kaylee starts kinder next week which is the same as primary and I am not really sad but have been looking forward to it!! I’m a little anxious for how she will handle the first day but I’m not sad or wishino she’d be home more or stay little longer. She’s such a fun little person and she more than anything needs kinder she is going to thrive in school and I’m so excited to be her cheer leader!